Precision Martial Arts Academy (PMAA) in St. Albert, Alberta offers a Professional, dynamic and specialized Taekwondo program called our Lil’ Panthers Program. It is designed to educate, motivate and inspire young children 3.5 to 6 years of age. 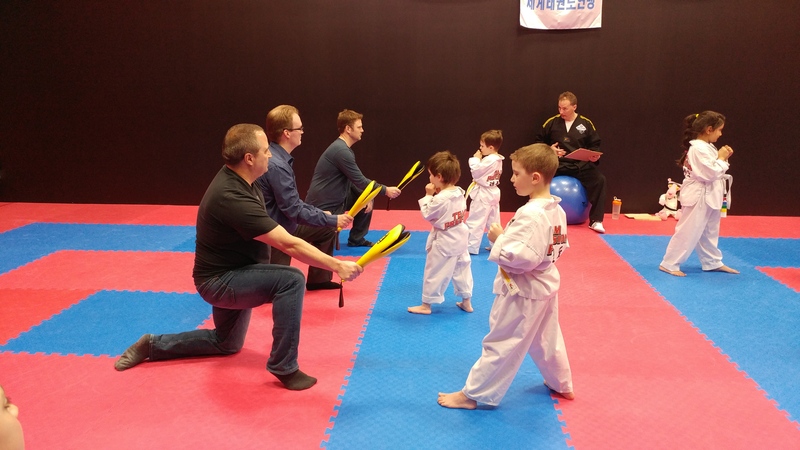 They will learn the functional ABCs of Fitness & Taekwondo, Agility – Balance – Coordination. 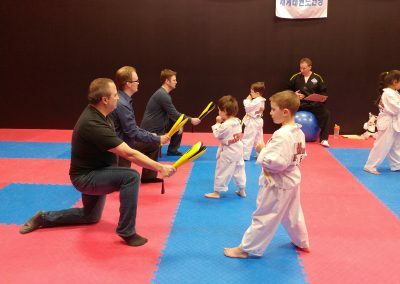 Your child will have tons of fun while learning the FUNdamentals of Taekwondo, self-defense and professional fitness training. Most importantly, your child will become confident while embracing positive character development and grow with having excellent life qualities such as respect, focus, concentration, sharing, having polite manners and work ethic. Punching, kicking, blocking and crazy ninja stuff is merely a bonus. Active for life is the key… “build the citizen first… then the athlete”. 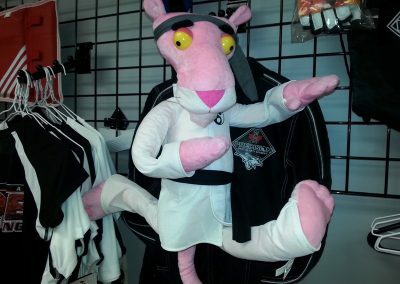 PMAA’s Lil’ Panthers Taekwondo Program is designed to guide and teach Pre-school/Kindergarten aged students the importance of listening, sharing, team work, trying their best, and not giving up when faced with challenges. Furthermore, they will learn how to be patient, courteous, respectful, honest, trustworthy and how to practice self-control. 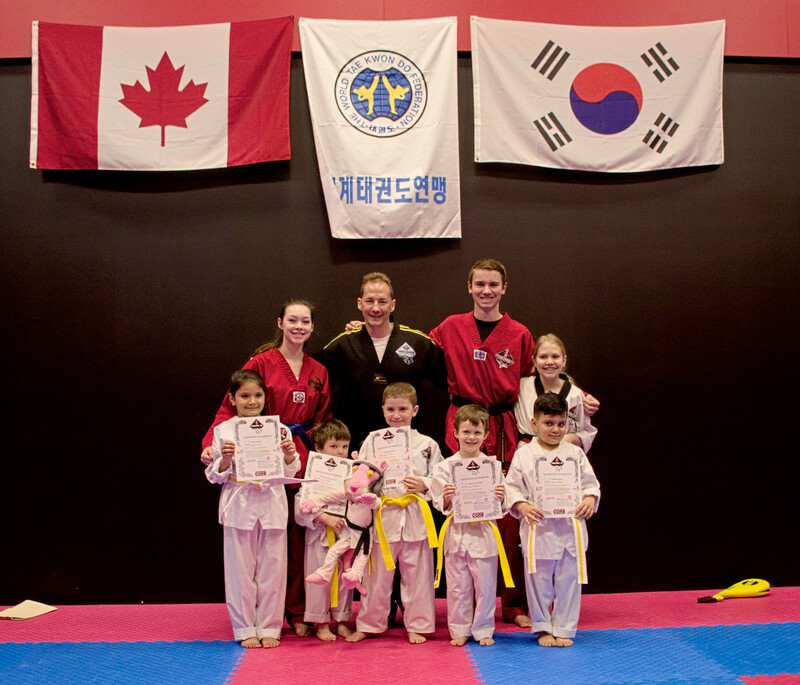 Most importantly, by training in Taekwondo, they will become confident by learning how to set goals, work hard to achieve those goals, and become skilled and more fit in the process. PMAA follows the Canadian Sport For Life stage of development called Active Start that focuses on boys and girls 0-6 years of age. Boys and girls need to be engaged in daily active play. Through play and movement, they develop the fundamental movement skills that will provide the foundation for learning fundamental sports skills at older ages. From ages 0-6 years, children need to be introduced to unstructured active play that incorporates a variety of body movements. Children this age need to develop the ABCs of movement – Agility, Balance and Coordination. The ABCs are essential for developing fundamental movement skills, which will later provide the foundation for fundamental sport skills and Taekwondo. Together, fundamental movement skills and fundamental sport skills form the basis of physical literacy. Active Start enhances development of brain function, physical coordination, gross motor skills, posture and balance. It also helps children to build confidence, social skills, emotional control, and imagination while reducing stress and improving sleep. Children in the Active Start stage should see physical activity as a fun and exciting part of everyday life. Classes at PMAA are taught with great care, enthusiasm, energy, fun, and challenge for all students. Repetition is magically disguised in game format to ensure progression and self-improvement, while keeping class fun and enjoyable. Boredom seldom occurs at PMAA, due to the contagious enthusiasm, passion and dynamics that each Instructor brings to the school each and every night. Taekwondo is an activity and a lifestyle that incorporates fitness and exercise, strong character development (positive life values, morals, behavior), and how to practice personal safety and awareness. 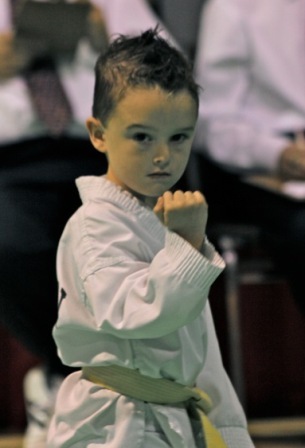 Self-defense is merely one small component of what Taekwondo truly represents. 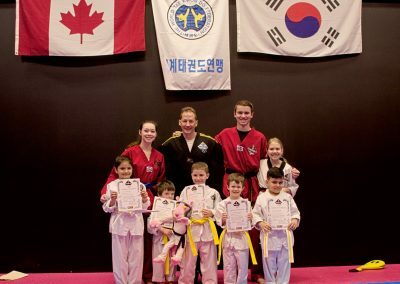 Becoming an honor student, getting the job you want because “you wanted it and went for it” with determination and confidence, are ideals that derive from the teachings of Taekwondo. The old proverb that states, “your attitude dictates your altitude” is quite powerful and true to what one can achieve if they put their mind to it! 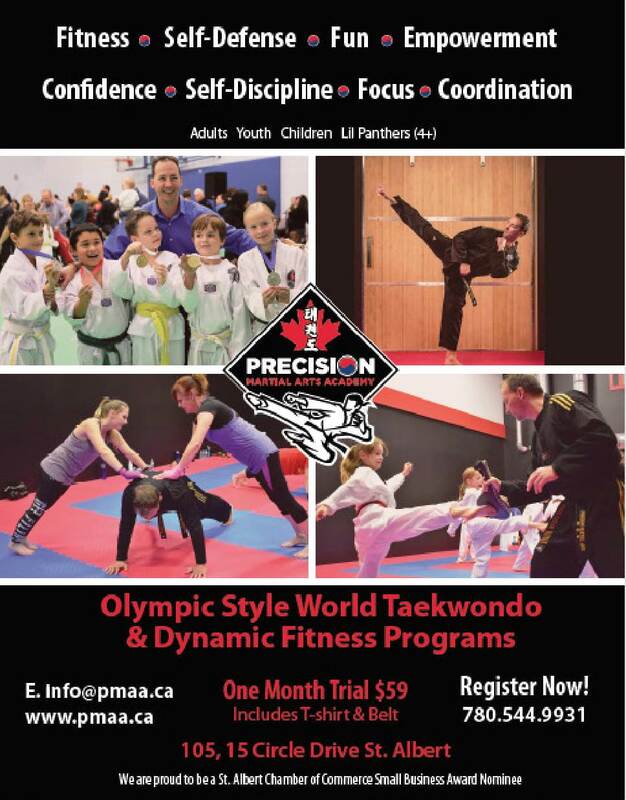 Precision Martial Arts Academy (PMAA) is continually evolving and we are excited to see the continued success, development, and growth of each child. We are very proud and privileged to be a positive influence in their young lives and to be a part of this important process through Taekwondo.